Last weekend our family headed out to the Metz gorge lookout. It was recommend to us by a family member and it turned out to be yet another instance of quite an impressive spot that is unknown to many of the inhabitants of Armidale. I would not be surprised if more people in Armidale have been to England, which is on the other side of the planet than those that have been to Metz which is a mere 20 minute car journey away. The lookout is close by Metz an area that was once a mining village that sits on the edge of the gorge. 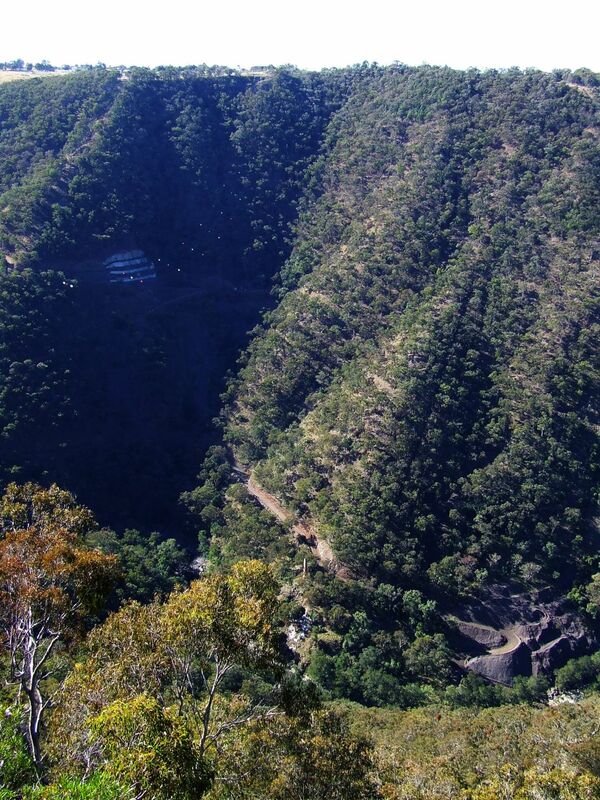 Across the other side of the gorge is the larger village of Hillgrove where some mining still continues. The population of both Metz and Hillgrove peaked around 1898. According the Sydney Morning Herald article Hillgrove – Places to See, Metz’s “… population peaked in 1898 at about 750, at which time there was a post office, two schools, three churches, shops, two hotels, a masonic lodge, a brass band and sporting organisations.” We only saw 2 or 3 houses along the main road through the village although I imagine there are other farm houses in the area. Google maps shows quite a number of streets, most of which don’t exist today. The Lookout is on the edge of the gorge. 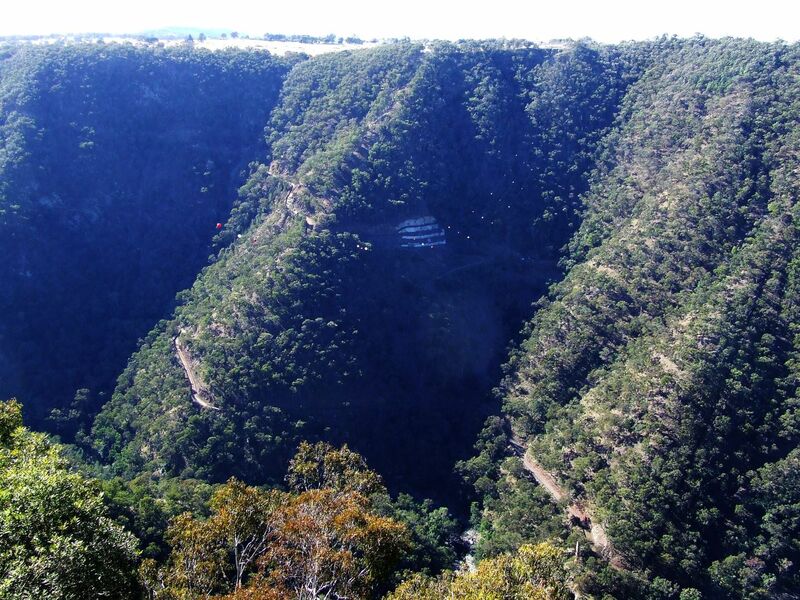 Looking directly across it you can see a few houses of Hillgrove and the remains of the old Bakers Creek mine 490m below Hillgrove at the bottom of the gorge. A line through the trees down the side is where a trolley line once went down. Another view looking across to Hillgrove. The line through running diagonally across the bottom right corner of the photo is where the old trolley line went down. At the bottom is a large chimney and lots of rubble from previous mining. A view looking South East down the gorge. 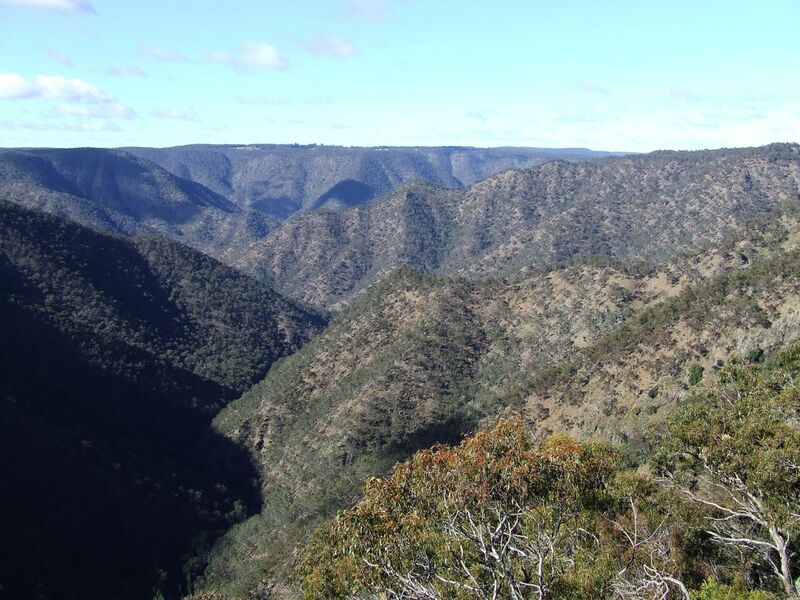 The area has lots of these gorges carved into the relatively flat country of the Northern Tablelands. It is quite an eerie feeling being in an area that was once thriving but now almost all of the evidence of that has disappeared. If you are ever in the area and have some spare time it is worth a visit.